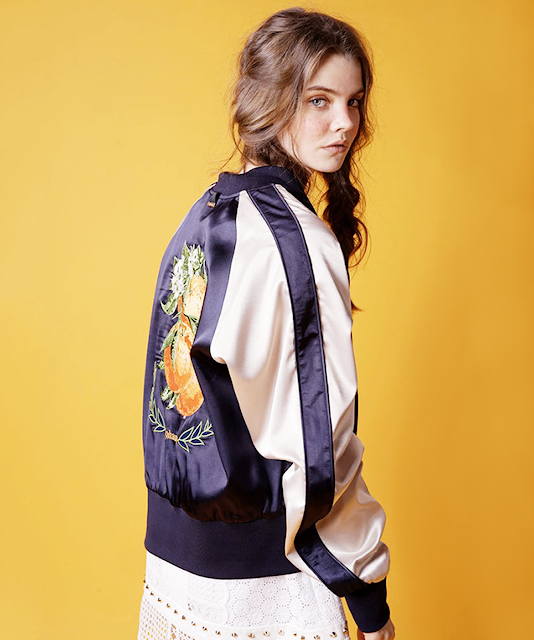 I am loving these light weight Summer bomber jackets. The baggy, kind-of sporty silhouette is the ultimate topper, regardless of your personal style. While it can be tough to think about outwear when you're busy dripping sweat everywhere you go, a light jacket is still key in the summer months — you never know when you're going to encounter a temp drop. 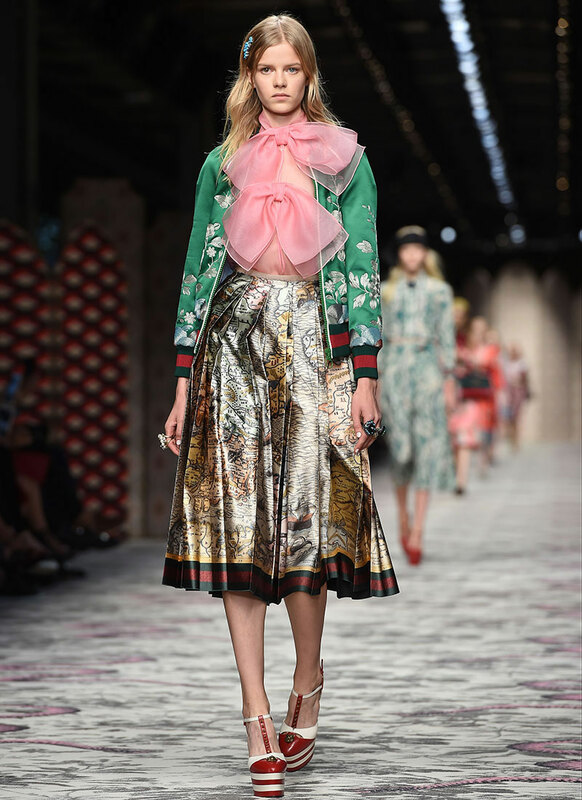 The bomber featured heavily on the Spring/Summer 2016 catwalks with designers from Saint Laurent to Louis Vuitton to Gucci sending their models down the catwalks in heavily embroidered silk bomber jackets, paired with metallic midi skirts and elaborate patterned trousers. Here's what I've learned about about rocking the bomber jacket during the heat and how you can rock it even better this summer. 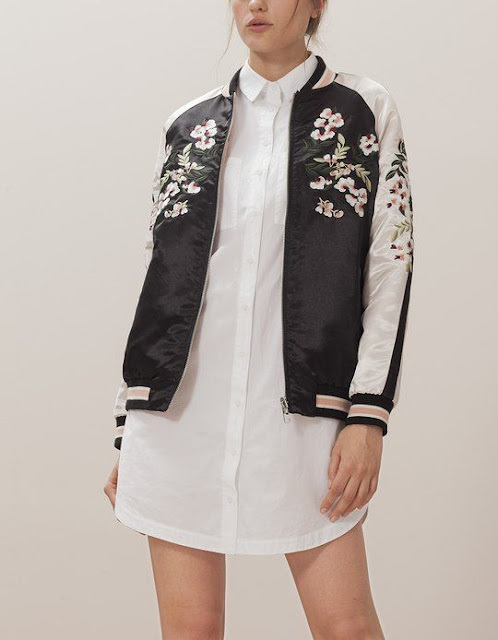 Choosing a bomber that has a light weight material like silk will keep you cool in the summer heat without having to pass on the trend that everyone is loving. 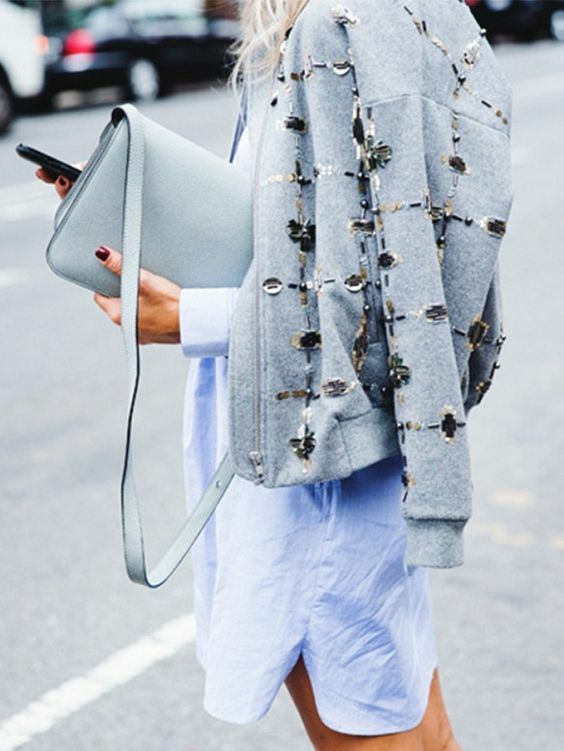 A sheer bomber is the most breathable way to do summer outerwear. Okay so maybe you don't have the budget to get a new silk jacket or you love your current bomber way too much to give it up to the summer heat. Draping the your favourite bomber over your shoulders is a simple way to wear the style but keep it as cool as possible when you're out and about. We all know that the metallic colour is back now! So why not to add these two trends together? Metallic + bomber, such a great combo! Embroidery is so cool and just adds an extra touch to the look. Pair your bomber with your new summer pieces! This may seem obvious but so many people put away their winter clothing for the summer and they forget that many winter pieces like your favourite bomber can be paired with your favourite looks for summer. Instead of wearing jeans and booties opt for a dress and some flats. Shop my look below - Pastel colour, embroidery and satin material. You'll be completely on trend. To get some inspiration, here are our favourite street style approved ways to style up your outfit with a bomber jacket.